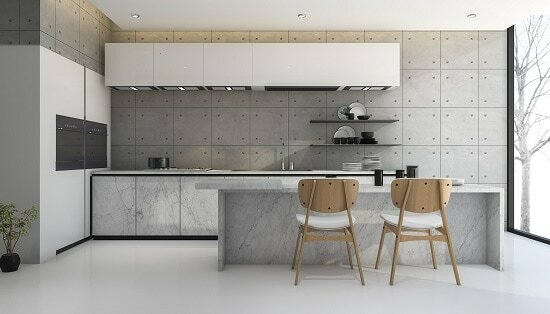 Concrete furniture is attractive and distinctive. If you want to give your property a memorable touch, you should explore your choices with us today. 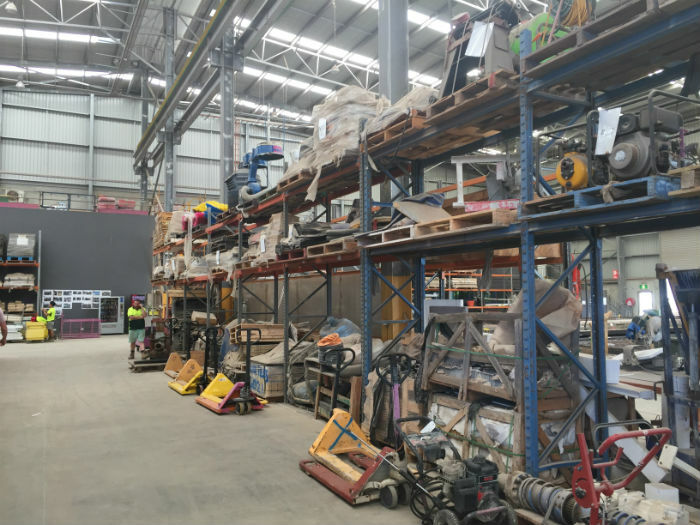 We ship Australia wide, including Perth, Adelaide, Sydney, Melbourne, Brisbane and other areas. There's nowhere we can't ship, and we get all our products to you safe and sound. 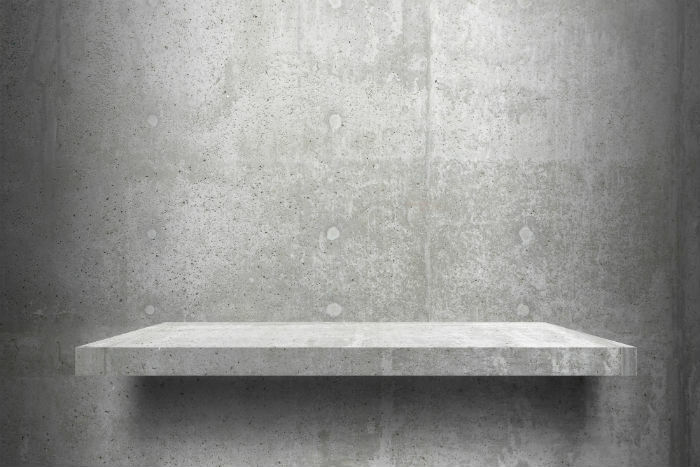 Concrete Crib specialises in concrete furniture that's sophisticated, durable and timeless. 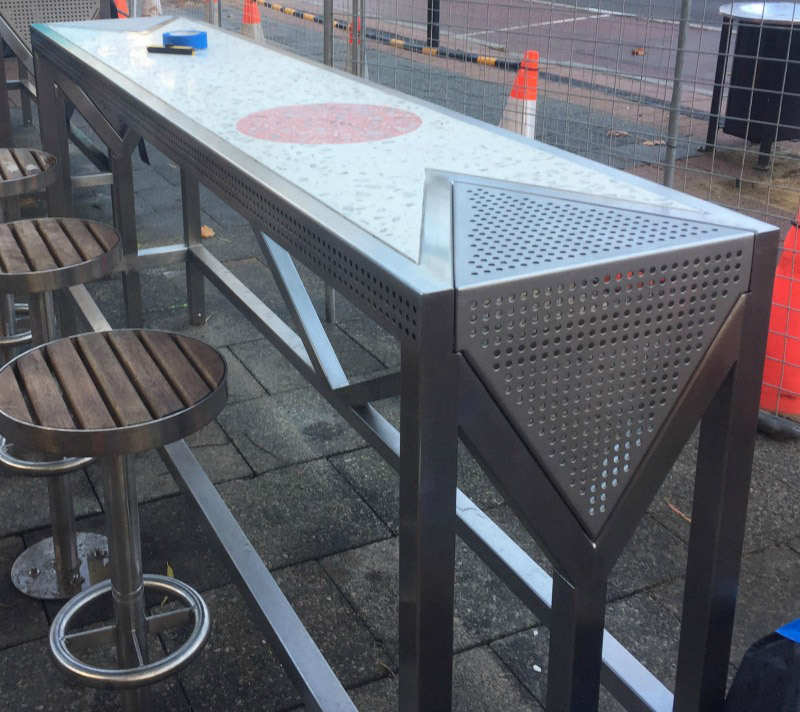 We design and construct all different types of concrete furnishings. If you're interested in concrete tabletops, concrete coffee tables, concrete dining tables and concrete tables in general, we can help you. 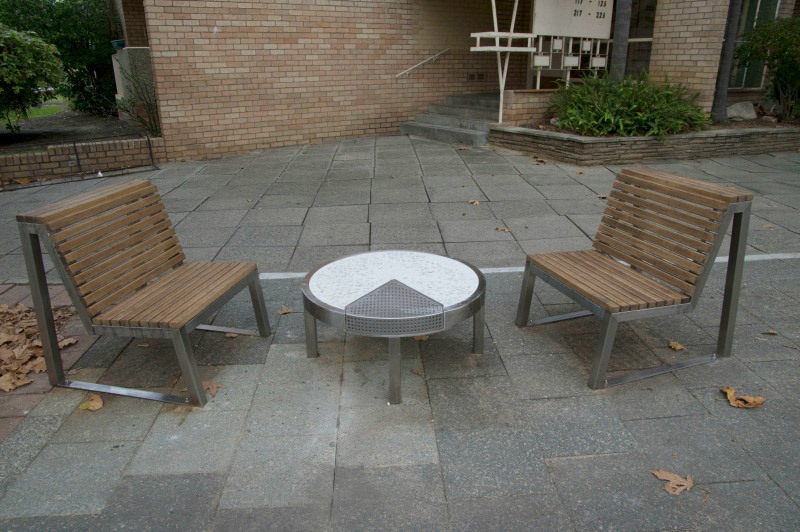 We can even cater to your concrete outdoor furniture needs. We make concrete outdoor tables that can make your backyard truly pop! Our handcrafted concrete tables are second to none in quality. When you're looking for a custom designed concrete table that's a wonderful combination of durable and stylish, no company can surpass us. Our concrete tables are ideal for those who appreciate streamlined design work. They're also ideal for those who appreciate strength and practicality. We design and build concrete tables that can suit all types of interior and exterior design schemes. A good dining table can make any meal even more special. It you want to relish your meals on a surface that's a pure vision of class, refinement and modernity, nothing can rival a concrete dining table. Concrete Crib designs and constructs concrete dining tables of all sizes. If you have any special table shape and design requests, we're all ears. Our priority is give you a concrete table that's perfect for you. 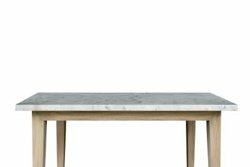 It doesn't matter if you want a concrete dining table that's decidedly classic and old-fashioned in appearance. It doesn't matter if you want one that's futuristic and innovative. We will give you precisely what you need. There aren't many things in life that are better than dining outdoors on a warm and sunny day or evening. If you want to pamper yourself with an outdoor table that's strong, resilient and beautifully designed, our custom concrete outdoor tables should be right up your alley. A concrete outdoor table can make a wonderful and eye-catching addition to any outdoor property. It can be particularly beneficial for people who like entertaining guests outside. A sturdy concrete outdoor table can contribute to a fun and relaxing setting. It can give you the opportunity to feast in comfort while looking up at the stars as well. Few things can be more incredible than that. 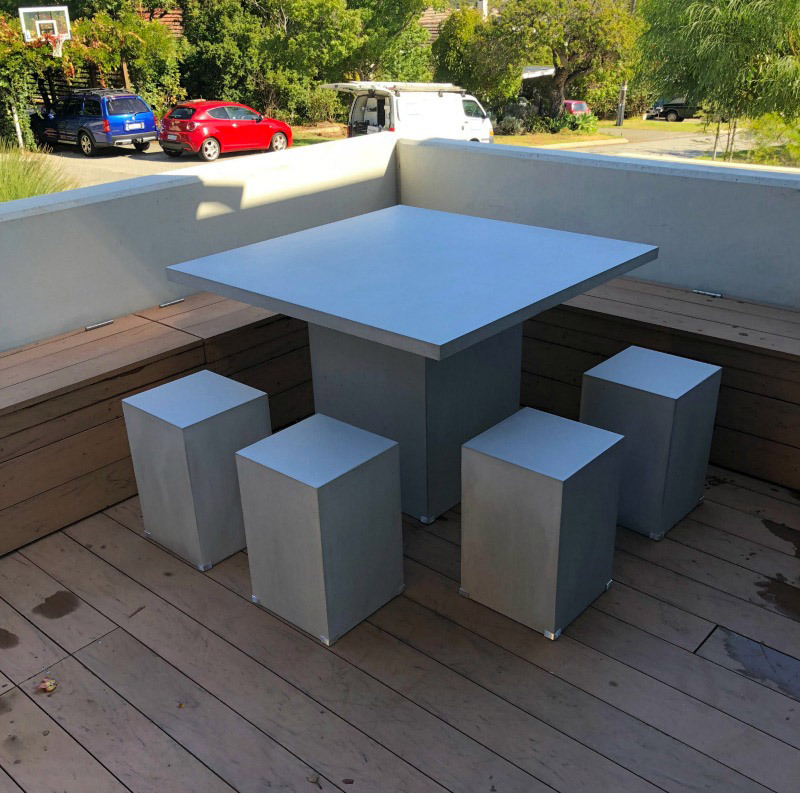 If you're looking for the finest concrete outdoor tables around, Concrete Crib is available to save the day. Concrete Crib makes a fine company choice for fans of concrete outdoor furniture and all its benefits. Our team members design and build custom concrete outdoor furnishings that are sturdy, resilient and aesthetically appealing all at the same time. 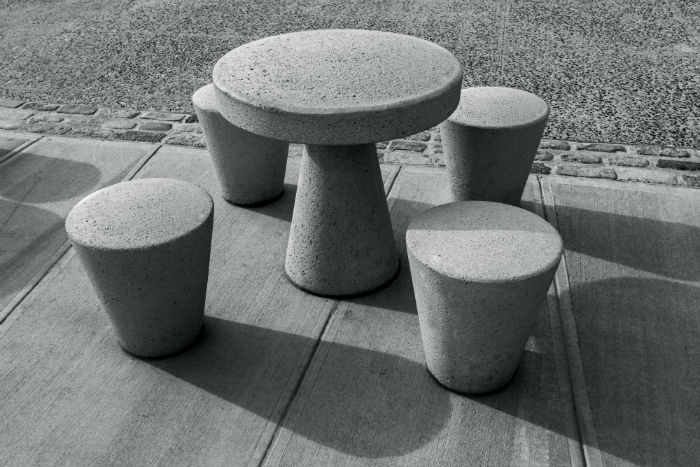 The advantages of concrete outdoor furniture are abundant. Concrete works beautifully in outdoor settings. It also works well alongside both teak and wicker furnishings. If you want to invest in an outdoor space that's functional, practical, enjoyable and convenient, our options in custom concrete outdoor furniture are sure to delight you. We can design and construct concrete dining furniture for outdoor use. We can design and construct concrete lounge furniture, stools and side tables that are ideal for outdoor applications as well. If you need high-quality concrete furniture that can withstand outdoor temperatures and weather factors beautifully, then you need Concrete Crib. 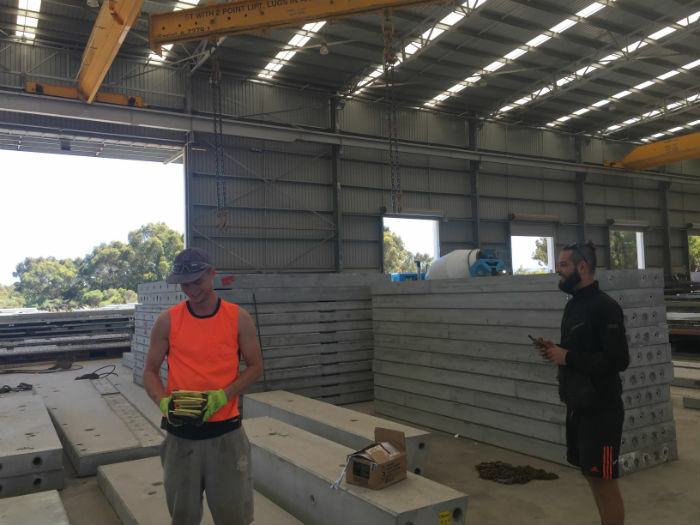 Contact our trustworthy business as soon as you can to learn more about our first-rate customised concrete offerings. 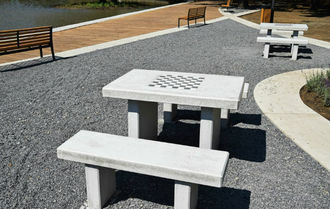 We focus on custom concrete furniture that's optimal for outdoor spaces of all varieties. Fresh interior design elements can do so much for any living space. If you're tired of the same old boring choices in coffee tables, it may be time for a significant change. A concrete coffee table could be that change for you. Concrete Crib specialises in customised concrete coffee tables that are everything you could ever want. Concrete coffee tables are striking and dramatic. They're far from dull. They're also extremely sturdy. They can tolerate a lot. If you want to steer clear of a coffee table that won't last, concrete is the right material choice for you. Our designers and builders create concrete coffee tables that are chic, durable and practical. We build large concrete coffee tables that work perfectly in living rooms. We build smaller concrete coffee tables that are appropriate for smaller areas of the home, too. We encourage our clients to use their imaginations as well. We're more than happy to design concrete coffee tables in all sizes. Concrete tabletops can make excellent home additions. If you want to show your distinctive personality to the world, a lovely concrete tabletop can help you do so. Concrete tabletops are more than just tabletops. They're artwork. They blend in seamlessly in all kinds of home settings, too. They're also highly durable. If you want to invest in a tabletop that will remain in amazing shape for years and years on end, no material can give you more peace of mind than concrete. Concrete lifespans are truly impressive!